Kimberley is a licensed real estate agent in Pennsylvania and Maryland and a member of the Pen Mar Association of Realtors, National Association of Realtors (NAR), PA Association of Realtors, and the Metropolitan Regional Informational System. 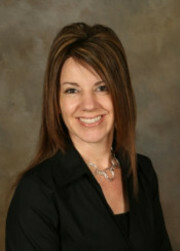 She has teamed up with her husband, Wes and they have been helping clients and customers for over 10 years. Together they are the area’s most dynamic real estate couple. Their passion is helping others. They have helped first time home buyers, investors, and can offer home owners property management services through EXIT PREFERRED REALTY. Kimberley and Wes prides themselves in their response times to their clients, and makes them feel that they do matter . . . whether buying, selling or renting. They have apprenticed with some of the industry’s top agents and coaches to enhance their understanding of the market and all aspects of real estate. Kimberley and Wes are ready to go to work for you. Wes has coached in his son’s local soccer league and is the March of Dimes top fundraiser for The Great Chesapeake Bay Swim. Every summer since 2005, Wes swims across the Chesapeake Bay to raise money for the March of Dimes in memory of his late twins. They are very proud of their children.